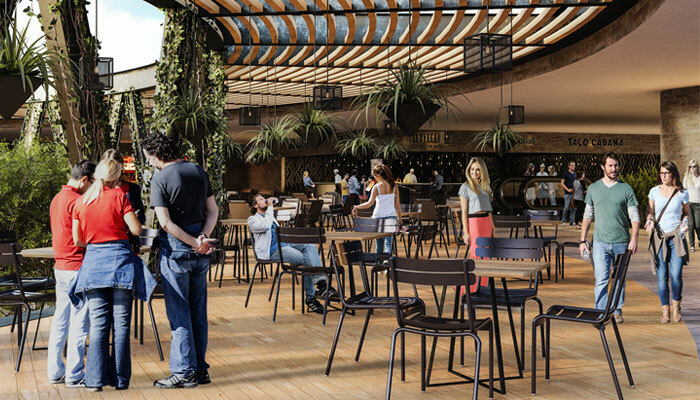 Latin America’s food and beverage retail scene is extremely vibrant but also fiercely competitive with a stronghold of local majors, so entering requires forward-thinking and a strong partnership strategy, an expert says. Latin America now boasts more than 1,800 shopping centers, each spanning more than 10,000 square meters, with a large majority in Mexico, Brazil, Colombia and Argentina, according to Lizan Retail Advisors, and Walmart, Falabella and Liverpool are three of the region’s retail heavyweights. Speaking to FoodNavigator-LATAM, Jorge Lizan, director of Lizan Retail Advisors, described Latin American retail was “very competitive”. “You’ve got very powerful, local players in every single sector,” Lizan said. In grocery, for example, he said there was some international presence but many multinationals had experienced “mixed results” , even majors like Carrefour – the second-largest retailer in the world. Carrefour, he said, had a dominant presence in Brazil and Argentina but had tried and failed to gain traction in Mexico, entering around 20 years ago through a two-year partnership but pulling out after ten years operating alone. Walmart, by comparison, had developed its stronghold in Mexico and Central America through an acquisition of a local player around 25 years ago, he said. So, what exactly were the top three retailers doing right? Lizan said Mexican high-end department store chain Liverpool had succeeded through its visuals and store design. Walmart, he said, was heavily invested in talent and staff for its e-commerce and omni-channels, for example, and had also outlined plans to introduce an array of technologies beyond simple click and collect models. For any retail looking to enter or expand in Latin America, Lizan said all of this would be crucial to consider but being different was vital. For new entrants, Lizan said a strong local partner was a must but no easy task to secure. It was also important to fully understand local consumer needs, he said, because they were increasingly demanding and looking for experiences – “they want to feel something when they’re shopping”. And this, he said, was true for every single demographic, irrespective of social or economic standing and applied to every market in the region’s retail scene. Shopping culture was also very different in Latin America, compared to the US and Europe, Lizan said, because it had long been considered a social gathering place and destination to share a meal. Because of this, he said restaurants held a prime position within the malls but not just typical quick-serves, high-end, chef-driven dining as well. “This is not a new phenomenon like in the US. In the US, you hardly see fine dining concepts within shopping centers but in Latin America, you can because it’s normal.” Food courts and gourmet markets were also central to the Latin American retail scene and were evolving rapidly which presented an “interesting opportunity” for food and beverage brands, he said. Opportunities, in general, were everywhere because the region had “one of the most vibrant food and beverage scenes” in retail and generally, Lizan said.